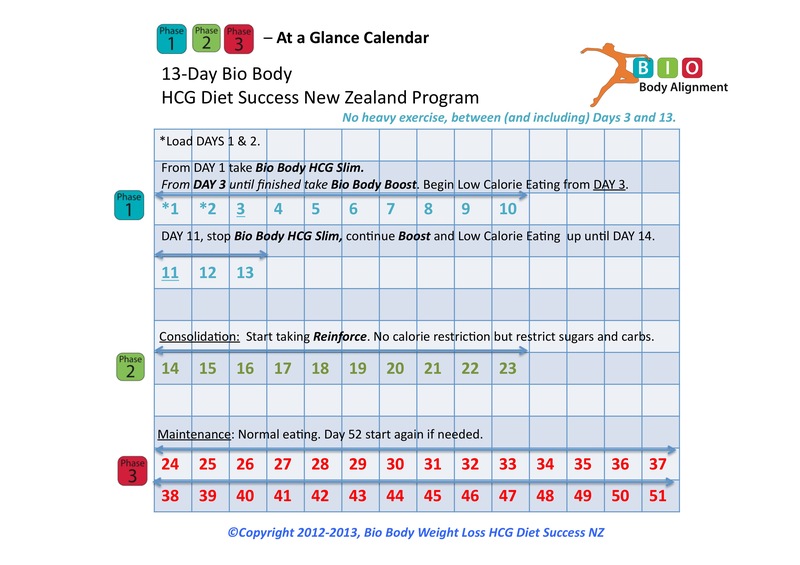 This page contains a simple outline about our Bio-Body Alignment HCG weight loss programs, available within New Zealand and internationally. Our comprehensive HCG program information, menus, recipes, quick reference guides and tip for success are available when you purchase any of our Bio Body programs. And if you prefer to speak to someone in person before deciding if our HCG weight loss program will work for you, please call Leigh on 06 877 8802, 021 2687687 or on our FREEPHONE - 0800 246 424. Includes Success Journal; Information Brochure; Menu Plans; Recipes; quick tip sheets and check lists. 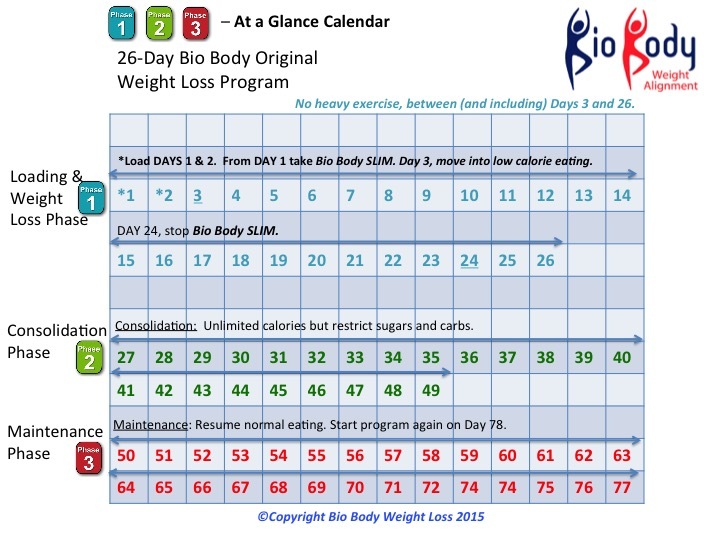 Everything you need to know to successfully complete any Bio Body Weight Loss Program - 13-day, 26-day or 40-day. 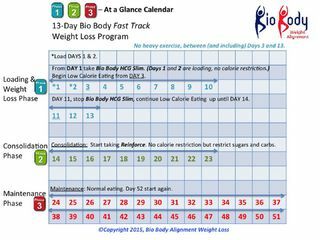 An at a glance calendar that outlines the timing and when to take our Bio Body Weight Loss HCG during the 10-Day Fast Track program. 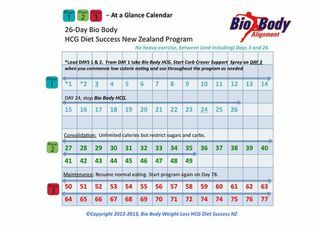 An at a glance calendar that outlines the timing and when to take our Bio Body Weight Loss HCG during the 26-Day Original program. An at a glance calendar that outlines the timing and when to take our Bio Body Weight Loss HCG during the 40-Day Extended program. A list of allowable foods during the Bio Body Programs.